Illinois State men's basketball coach Dan Muller. Federal prosecutors in New York this week indicted four men’s basketball assistant coaches on charges of fraud and corruption. Authorities say agents and financial advisers paid bribes to assistant coaches to get introductions to starting college players and their parents before the students turned professional. One assistant coach snared in the scandal is Lamont Evans, who worked last year under then Oklahoma State University head coach Brad Underwood, now the head coach at the University of Illinois. In a statement issued Tuesday evening, Underwood did not say whether he had any knowledge of Evans’ alleged crimes, including taking bribes from shoe company executives and sports marketing agencies to steer players in their direction. Muller said he believes there are schools where head coaches have no idea an assistant is cheating despite doing everything in his power to deter that cheating. But he conceded that in the majority of schools where cheating is occurring, the head coach either knows, or chooses not to know. Like a wink and a nod? Muller said he’s never worked for a coach where cheating was an issue. Before coaching at ISU, he worked as an assistant for 12 years at Vanderbilt University under former ISU head coach Kevin Stallings, his college coach in the late 1990s. Vanderbilt is a member of the SEC, considered an NCAA “Power-5” conference. There Muller was a top recruiter for Stallings. In that more highly regarded conference, he was recruiting a higher level player than he currently targets at ISU. He said he indirectly saw some cheating. “Because you would get asked the same questions by players and parents (are payments on the table?) and when you say ‘no,’ and someone happens to do it, you just move on,” said Muller. Muller said he is upfront with his coaches from the beginning of the interview process. “That’s where it starts,” said Muller, who said his speech includes talks about integrity. “We’re not breaking rules, just so you understand that if you come here. So we get together as a staff and I even have them sign something that outlines how we’re not going to break rules, we’re not going to cheat at recruiting,” said Muller. In the end, Muller said he has to trust his coaches. “Because you’re not on the road with them recruiting, you’re not on the phone with them. And I do (trust my coaches),” said Muller. Brian Moline from WILL (Illinois Public Radio) contributed to this report. 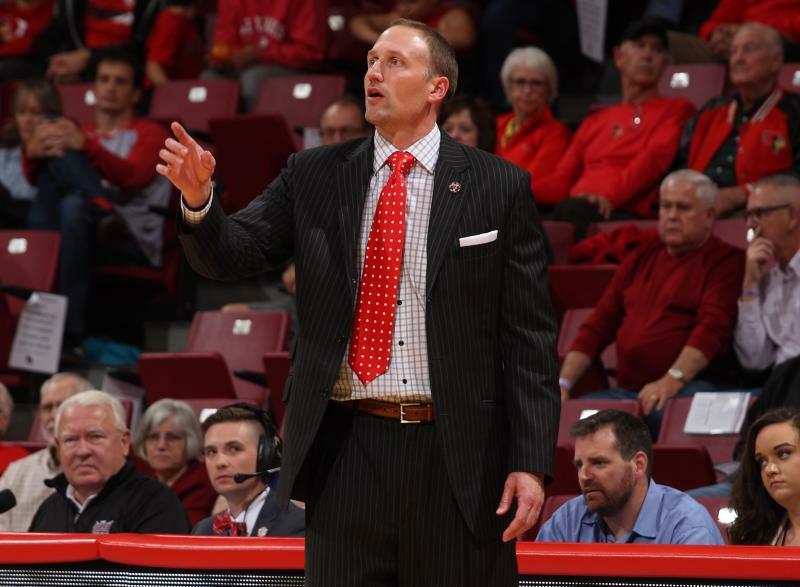 Illinois State University men’s basketball coach Dan Muller has signed a contract extension that will keep him at Redbird Arena through at least the 2023-24 season. Illinois State University basketball coach Dan Muller fired off a tweet Monday that reverberated through college basketball. The viral tweet came on the heels of the Redbirds being passed up for an "at-large" bid March 12 to play in the upcoming NCAA March Madness tournament. Despite it's 27-6 season record, ISU was told it didn't have enough "quality wins" against strong opponents to be selected.